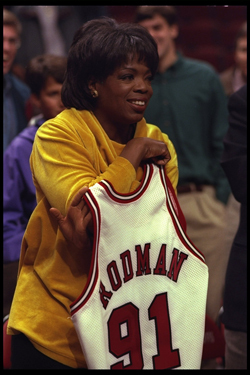 Oprah to Coach the Bulls! But on a real note, for the past 25 years Oprah has helped showcase athletes and bring their stories, triumphs and challenges to her massive audience. 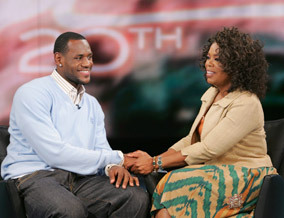 From Magic to Tiger, LeBron to Laveranues, Oprah Winfrey has shared her Chicago stage with the top athletes of her time. Check out ESPN’s feature on the best athlete interviews in Oprah’s 25-year career. Click here to read the full interview with MJ.